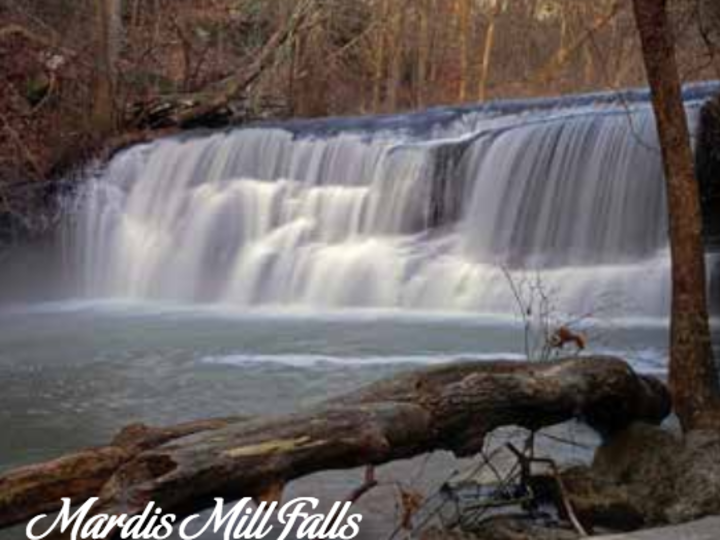 Mardis Mill Falls is located on Grave’s Creek which feeds into The Black Warrior / Locust Fork River. The falls are roughly 35-feet wide and the water drops 16-feet. Also known as Graves Creek Falls. Horton Mill Bridge was built in 1935 to replace another, located about three-fourth mile below the present site and built in 1894 or ’95 by L.M. Horton. The 42,000 board feet of lumber required for Horton Mill Bridge’s town-truss style was bought at $17 per thousand. All work was done strictly, securely, and solidly “by hand” without benefit of modern tools. Horton Mill rises 70 feet above the Calvert Prong of the Warrior River making it the highest covered bridge above water in the United States. The restoration of the bridges in the early and mid-1970s was due primarily to efforts of the Blount County Historical Society. Horton Mill then became the first covered bridge in the South to be named to the National Register of Historic Places. Horton Mill Bridge is located just to the left off Alabama75 about five miles north of Oneonta. Swann Bridge is located one mile west of Cleveland, just off Alabama 79, and is the longest in the south with a 324 feet span. The Easley Bridge is north of Oneonta on U.S. 231 between Oneonta and Cleveland at Rosa (turn on the road leading beside Pine Grove Baptist Church). It is considered the “baby” of the three bridges at just 95 feet but may be the most picturesque of them all. It is a Town-type bridge 14 feet wide and just 18 feet above the river there. It was built in 1927 and 1928 shortly before the other two. 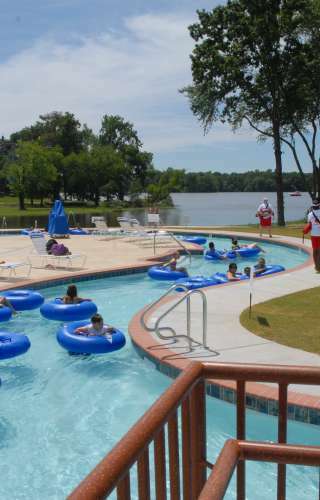 Palisades Park was selected as one of 30 north Alabama sites to appear on the National Geographic Tourism map, just one of the many awards the park has received in recent years. Admission is free to the walking and hiking trails, rappelling, playground, pioneer village, picnic areas, amphitheater, and more. Several buildings or various sizes are available for small fees to accommodate meetings, family reunions, wedding receptions and more. The historic Daniel Murphree cabin was moved there in the early 1970’s and was the home of one of Blount’s earliest settlers. It is fully furnished and restored and sits amongst an old school house, corn crib, barn, and other outbuildings. Located on Palisades/ Ebell Mountain (turn off U.S. 231between Oneonta and Rosa) an afternoon sitting in a swing overlooking the valley below is ample illustration of why five families are moving to Blount County each day! Melea is the Social Media Manager for Alabama Mountain Lakes Tourist Association.